It's no secret that I admire Damon Albarn a lot. I always follow his work with great interest. When Gorillaz announced they were to release a new album that was great news. What made it even more interesting was that Albarn did it entirely on an iPad. And they released the album for free on Christmas day. Well the members of their fanclub could download it but the rest of the world could listen to it on the Gorillaz website. The result is an album about life on the road during the North American leg of their world tour. Some song titles are cities or places in the US. And life on the road isn't always sweet telling from some tracks. But the mostly electronic album lacks the freshness and creativity of other Gorillaz album. Even more it lacks variety. Most songs only contain Albarn's vocals and hardly any hip hop influences let alone an Arabic orchestra or brass band. What remains is an average album and nothing we're used to from Albarn & Co. It probably was just a way of killing time in the tour bus and therefore can only be considered as an in between project. It still makes a nice Christmas present of course but so does a nice hat. 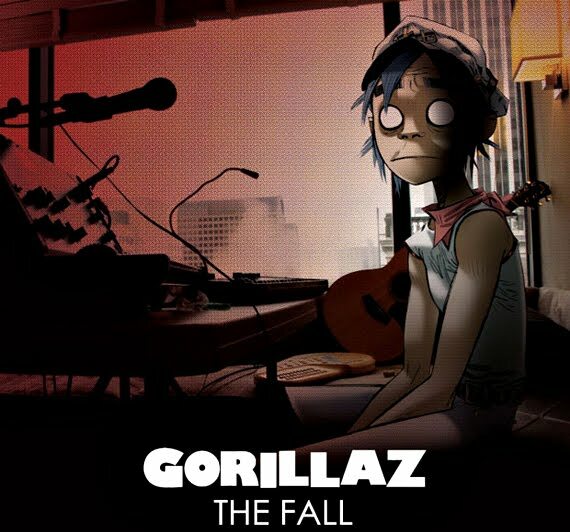 The Fall will get a normal album release later this year.